Indian Electronics industry dates back to the early 1960's. Electronics was one industry initially restricted to the development and maintenance of fundamental communication systems including radio-broadcasting, telephonic and telegraphic communication, and augmentation of defense capabilities. 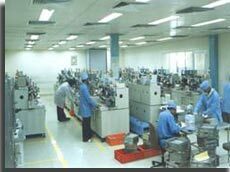 Until 1984, the electronics Industry was primarily government owned and then in 1980s witnessed a rapid growth of the electronics industry due to sweeping economic changes, resulting in the liberalization and globalization of the economy. The economic transformation all over the world was motivated by two compelling factors - the determination to boost economic growth, and to accelerate the development of export-oriented industries, like the electronics industry. By 1991 in the country private investments - both foreign and domestic were encouraged. The easing of foreign investment norms, allowance of 100% foreign equity, reduction in custom tariffs, and relicensing of several consumer electronic products had attracted remarkable amount of foreign collaboration and investment. The domestic Electronic industry also responded favorably to the policies of the government. The initiatives of the electronics field to private sector enabled entrepreneurs to establish the industries to meet demand in the market. Improvements in the Indian Electronics industry have not been limited to a particular segment, but encompass all its sectors. This pace made in the areas of commercial software, telecommunications, electronics, instrumentation, positioning and networking systems, and defense. The result therefore has been a significant trade growth that began in the late 1990's. The Indian Electronics Industry is a text for investors who consider India as a potential investment opportunity. Indian electronics companies had majorly benefited from the economic liberalization policies of the 1980's, including the loosening of restrictions on technology and component imports, delicensing, foreign investment, and reduction of excise duties. Output from electronics plants in India grew from Rs1.8 billion in FY 1970 to Rs8.1 billion in FY 1980 and to Rs123 billion in FY 1992. Most of the expansion took place in the production of computers and consumer electronics. Indian Production of Computer rose from 7,500 units in 1985 to 60,000 units in 1988 and to an estimated 200,000 units in 1992. During this period, major advances were made in the domestic computer industry that led to more sales. Consumer electronics in India account for about 30% of total electronics production of the country. In 1990 the electronic production included 5 million television sets, 6 million radios, 5 million tape recorders, 5 million electronic watches, and 140,000 video cassette recorders. The Indian engineering sector is large and varied and provided around 12 % of India's exports in the mid-1990s. Two subsectors, electronics and motor vehicles, are the most dynamic in all the sectors. Despite the global economic slowdown, growth of Indian electronics industry in 2009 was on par with the previous year at 9.9%, although this was decreased according to the double-digit growth achieved in 2006 and 2007. In 2010 output grown by 13.6% and in the medium to long-term India will continue to show strong growth driven by a large, fast growing domestic market, significant foreign investment and an improving regulatory environment. The global electrical and electronics industry has various adjunct sectors. Few of them are Electronic Components, Computer & Telecommunications, Office Equipments, Consumer Electronics as well as Industrial Electronics. The Indian electronics market was at US$11.5 billion in 2004, then the market wgrew worldwide over the next several years. Indian Electronics Industry is expected to grow at a Compound Annual Growth Rate (CAGR) of 23% by 2010 to reach US$40 billion. Though its total output will be far behind China electronics market, worth US$271.97 billion in 2004, India promises a better market with the bears watching. Low manufacturing costs in skilled labor and raw materials, availability of engineering skills, and opportunity to meet demand in the populous Indian market, are driving its electronics market. In the year 2005 India's electronic consumption was around 1.8 %. It is likely to touch 5.5 % in 2010. According to a study conducted by ISA and Frost Sullivan, India's semi-conductor market would grow by 2.5 times. The end-user products of semi-conductor would include mobile handsets, desktop and notebooks, PCs, etc. Indian electronics industry today stands at US $ 25 billion and is ranked 26th in the world in terms of sales and 29th in the world in terms of production. It is growing at over 25% CAGR and is expected to be worth US $ 158 billion by 2015. Electronic industry is one of the fastest growing industries in the country and is driven by growth in key sectors such as IT, Consumer Electronics and Telecom. Colour Television: LG Electronics, Philips, Sony; Sansui, Samsung, BPL, Videocon, Onida, Aiwa, Akai, Thompson, Panasonic. According to a recent report presented by Ernst & Young, the Indian domestic demand for electronics products is expected to reach $125 billion by 2014 from the current level of $45 billion annually. The primary demand drivers for the Indian Electronic Industry are sectors like telecom, defence, IT and e-governance, automotive, consumer electronics, and energy. At these demand levels, until India creates its own electronics product industry, the imports of these products will create the single largest trade deficit item, which would even be larger than petroleum products. On the other hand, if this particular unique opportunity is utilized, it can create a large industry catering to domestic consumption, which will help achieve self reliance in strategic sectors like telecom and defence, while leading to large exports. The Indian Electronic industry constitutes less than 1% of the global market. However, demand for these products are growing rapidly and investments are flowing in to augment manufacturing capacity. In past four years, production of computers has grown at a compounded annual growth rate (CAGR) of 31%, which is highest among the various electronic products in India. And then the production is followed by communication and broadcast equipment (25%), strategic electronics (20%) and industrial electronics (17%). The consumer electronics segment has grown at a CAGR of 10% in the last five years includes a wide range of products such as DVD, VCD/MP3 players, television sets and microwave ovens. The growth in demand for telecom products has been high, with India adding two million mobile phone users every month, which serves as one of the main reasons for the growth in production of electronic goods. This growth is expected to continue over the next decade, too. To attract foreign investment the government has adopted Chinese style Special Economic Zones with the aim to provide islands of excellence where the infrastructure is world standard. Fifteen-year tax breaks given to foreign investors and SEZs are treated as foreign territories for the purpose of trade operations, duties and tariffs. India has been a great success story in the IT services industry and the next great opportunity is to create our own electronics product industry, which will help to move up the value chain and create global technology brands. Today the market is at the threshold of a decisive phase in our growth where, if the government and entrepreneurs take concrete steps it can create a $100 billion electronics product industry from India in the next 10 years. Multi national corporations provide growing electronics market to India at lower costs by manufacturing semiconductors in India. India has the potential to come up as the next electronics and hardware destination in the world. The chip design and other complex components electronic device can be acquired from the Indian companies at low cost. India is growing up to be one of the biggest markets for electronic instrumentations. The consumption value of electronic equipment in India in 2005 is estimated as US$ 28.2 billion. The main factor pertaining to the success of the Indian Electronics and Hardware Industry is the growth in the market demand. The growth in the manufacturing of semiconductor serves as the key driver in the emergence of India as one of the leaders. The advantages pertaining to the taxes and duties, the access to technical and engineering expertise, proper manufacturing facilities, lucrative investment offers, etc.